Archive for the ‘Serving Others’ Category. We can thank our the firemen who protect our own cities as a way to remember those who served so bravely on 9-11. 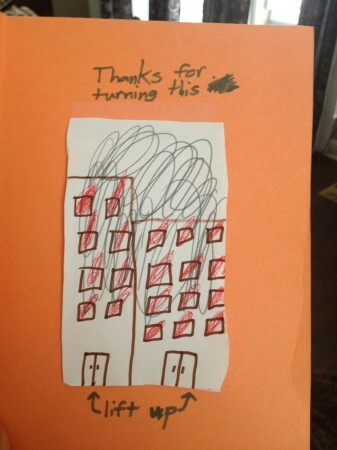 Last year, we baked cookies and the kids made this card. The firemen who greeted us at the door, looked surprised and touched when we explained why we were bringing them. After the blessings of trying out this idea for the first time last year, we were all excited to get going on our second annual Good Deeds Day! Here’s the list we planned in case it helps jumpstart ideas for your family. After, I’ll share a couple of opportunities that God presented along the way. *Had my son’s friend along for the fun to help out his mom who had somewhere she needed to be that day. 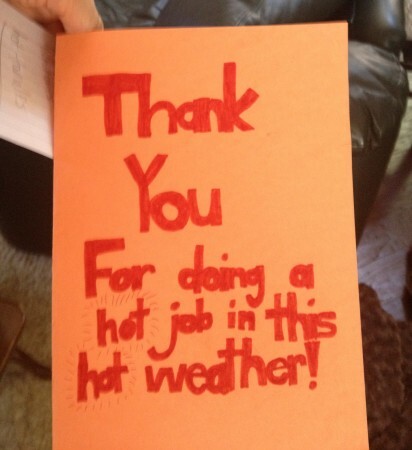 *Baked cookies and took them with a thank you card the kids made to our fire station. 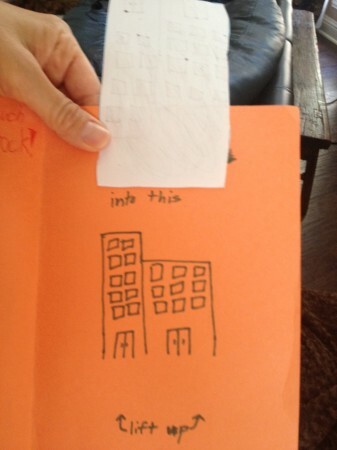 *Made and mailed cards for an uncle who just had lung cancer surgery. *Dropped off some old towels at our city animal shelter. *Loaded coins in the vending machines at Wal-Mart. *Paid for the order of the people behind us in the Chick-fil-a drive-through. *While driving home, prayed specifically over all the people that would be touched through our Good Deeds Day. This year, God added a different component that we will be sure to be prayerful about ahead of time in future years. He opened our eyes to a couple of unplanned good deeds along the way. As we were pulling out of our neighborhood, we saw a lady sitting in a broken down car. Since it’s August in Texas, that’s not pleasant or safe. We circled back around and asked if she needed help, use of our cell phone, or a ride. She was appreciative we stopped to ask, but her ride pulled up just behind us. The other addition to our day was that God put us in the path of one of our school teachers at the stores we were stopping by! By the third time, it got to be a bit comical and the kids and I decided we would surprise her with a small gift card. While I finished checking out at Mardel, the children excitedly went to find her and thank her for being a great teacher at our school. for with such sacrifices God is pleased. 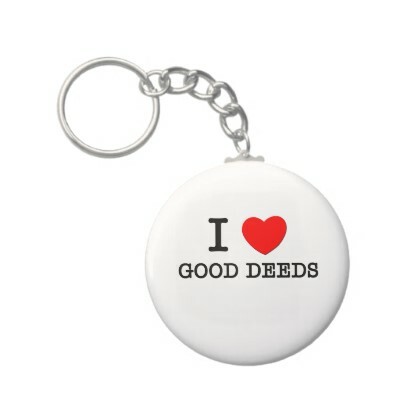 Summer Fun Series – Good Deeds Day! Hello! 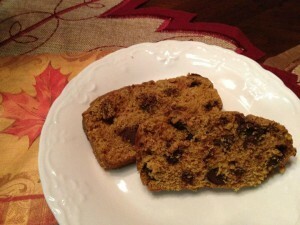 Kara has asked me to share with you a fun activity that I did last week with my three kids, ages 10, 9 and 6. First, let me preface this with saying that I have “normal” kids. Each summer for the last 5 years, we have put together a simple list on poster-board of summer goals that we have for the few months home from school. Each child had several fun suggestions, and I interjected with the idea of a “Good Deeds Day” and got…silence. We put it on the list and decided to cross that activity off our list last Thursday. I first had to encourage them that this was actually going to be a fun activity as they weren’t too sure. We set out to our local grocery store, and parked our car. From there, we looked for stray grocery carts that we then gathered together and delivered into the store. At first, especially my youngest, was crying about how ‘hard’ this was, but the manager actually came out to thank them and told them they were “hired”, which made for smiles all around. While at the grocery store, we purchased a small bouquet of flowers and told the kids that I had someone in mind to give it to…our church secretary. Once in the car, I took a moment to talk to them about how our pastors are so visible and yet they would agree with me that without our hard-working secretary, Carol, so much of what they do would not get done. This was really eye-opening to them, and I could tell they were excited to give the flowers to such a deserving person. I had my oldest son take the flowers and hand them to her, and each child said, “thank you” and told her about the Good Deeds day we were a part of. I could tell my idea was catching on! Some of the other activities we did were leaving a dollar bill on an ATM machine, finding a random mailbox in a struggling neighborhood and putting $5 in it (that was my 9 year old’s idea: he was most excited), and the highlight was going to the drive-thru at Chick-Fil-A to pay anonymously for the car behind us. What was especially nice about this was that there was a time when we were the only ones in line so we were able to pray together that the right person who needed a blessing would come. My son prayed that it wouldn’t be a school bus of hungry kids, too! Turns out, we paid only $2.66 for a young woman’s beverage and waited to see her reaction and she simply drove away without any acknowledgment or smile! That, too, became a lesson in gratitude and we had good conversations all the way home about how they would have reacted differently. All in all, this was only an hour and a half activity, yet I felt like it really made an impact on them. It was humbling when, only a few hours later, they told their dad at dinner only a little bit of our day together! Again, normal kids, but I’m hoping a little seed was planted and that they will one day think of others in special, anonymous ways.